Otterbox for iPod is unlike any other case on the market. Designed to withstand water, dust, dirt, sand and impact, the Otterbox for iPod video is the ultimate in protection, even under water! This rather bulky case won’t win any design awards but for those who require the best protection, then look no further. 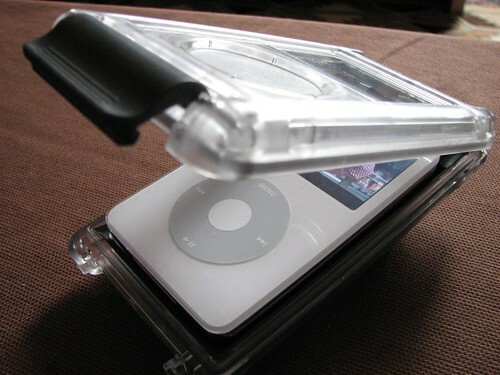 Inside the case, the clear plastic case is lined with rubber to ensure that your iPod does not get scratched whilst it’s in transit. 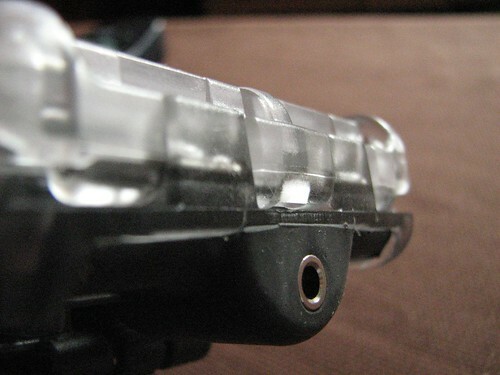 The latch at the bottom, which keeps everything airtight and the contents dry, is big and gives you the sense that it will not break off even if you tried. The Otterbox is the equivalent to the Hummer in the iPod case industry. I’ve never seen anything like this before. Curious as to whether this idea worked, I foolishly tried it before testing it with a real iPod inside. Dunking it in the sink, running it under the tap and putting a shower spray on it all failed to penetrate the airtight and tough exterior. Don’t get me wrong, this thing does exactly what it says on the tin but it makes your iPod about the size of the old Walkman. However, if you need the best in water, dirt, dust and shock proofing then look no further than the Otterbox. The clever design allows access to the Click wheel even when you’re under water. The headphone jack is actually an extension to the real jack that is attached to your iPod. 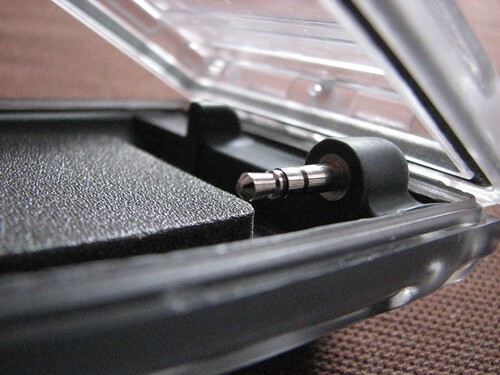 Inside is a 3.5mm jack which feeds through to another 3.5mm jack on the exterior of this case. This ensures that no water can get through to the iPod itself. So all that’s missing is a set of waterproof headphones and you got yourself an audio system that you can use whilst you’re in the shower or better yet in the bath. The depth goes to 1m so it’s not really suitable for diving or swimming. As for the robustness of this case, just holding it will give you the sense of toughness and ruggedness. 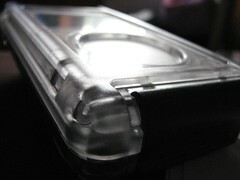 The polycarbonate material that this case is made of will ensure complete protection to your iPod in most situations. 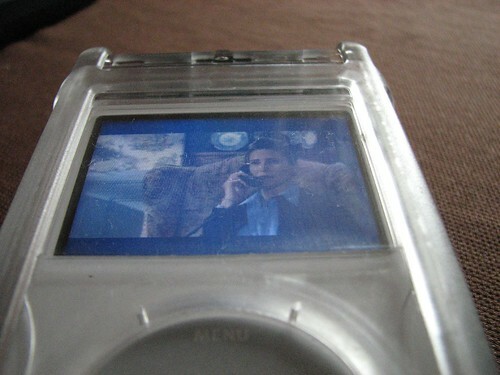 The case itself comes in various iPod sizes, including the Shuffle. The Video model that I tested is able to hold both the 60 and 30GB models. 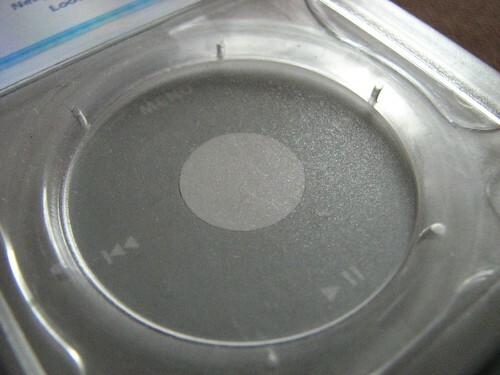 30GB models will require the included sticky foam that just inserts on to the base of the inside to ensure that the iPod is not loose once inside the case. Other than that, there’s not much more to say about this case. This rugged water-proof case re-defines what I once thought was the toughest in iPod protection. I dare challenge any other manufacturer to try and beat out the Otterbox and the values it represents.